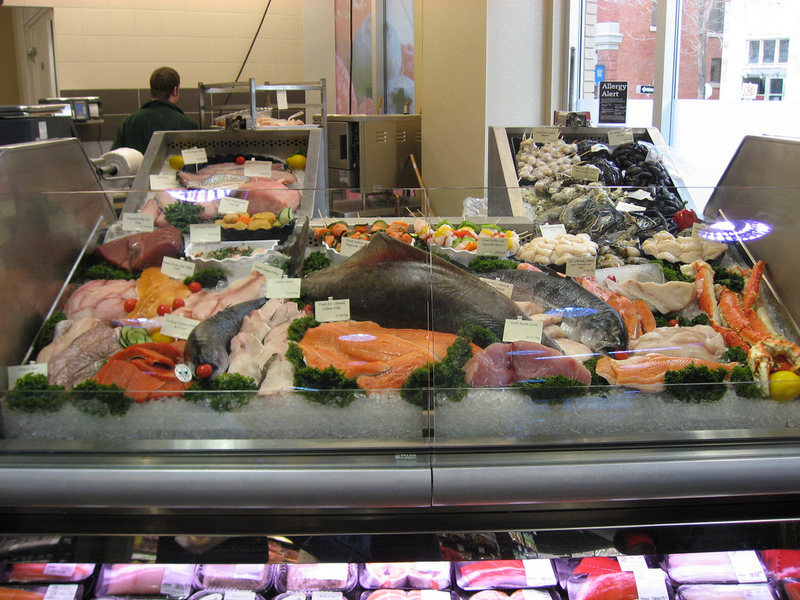 We Import Over 90 Percent of Our Seafood. It’s Hurting the Environment—and the Economy. The United States is one of the world’s three largest consumers of seafood products, yet we import over 90 percent of our fish and shellfish, and have been experiencing an estimated $10 billion trade deficit in seafood products. The only natural resource we import at a greater deficit is petroleum; we are “fish dependent” in the same way that we are oil dependent. This dependence is not only an economic concern; it is also an environmental one. It is widely recognized that the world’s fisheries are stressed; 85 percent of fisheries are exploited at a rate that threatens a continued stable population. Over half of American seafood imports are farmed fish, mostly from countries where environmental and food safety regulations are not as stringent as ours. Farmed fish production in Asia, in particular, has a historically bad reputation. Reports of fish being grown in polluted water, destruction of mangroves and slave labor conditions in shrimp farming, and overuse of antibiotics and chemicals have reached the U.S. from these high export countries. Our consumption of fish isn’t dropping—while the U.S. is among the top three consumers of seafood in the world, it is also the second largest consumer of beef in the world per capita—which is one more reason we need to develop policies that encourage local fish production. Fish raised using sustainable aquaculture methods can provide a healthy animal protein source to U.S. consumers, with a lower impact on environmental resources than many other forms of animal protein production. But what could “sustainable aquaculture” look like in America today? A 21st-century farm might be found in the middle of a large city, at the heart of a mixed-use development with affordable housing—and it might not use soil. This is the plan for the Hunters Point Family farm, which is currently being built in a 500-acre redevelopment project near the San Francisco waterfront. A joint project of the nonprofits Evo Farm, REDF, and Hunters Point Family, the Hunters Point Family farm is developing a pilot greenhouse aquaponics farm that will supply the local market with the very freshest catfish, lettuce, herbs, and tomatoes. Aquaponics is the term for a farming practice that combines aquaculture and hydroponics into one system. The Hunters Point Family farm will grow fish in tanks and use the waste from these tanks as a natural fertilizer for plants grown hydroponically (in water). The plants’ natural filtration cleans the water—which is then returned back to the fish. It is a closed loop system that can provide a complete meal. Recirculating tank aquaculture is considered environmentally sound for several reasons. It requires less water than other aquaculture systems; it offers the ability to control and monitor the inputs and outputs of the system and manage the quality of the water; the containment eliminates concerns about farmed fish from open ocean pens escaping and mingling with wild; and it requires fewer antibiotics to control disease than other aquaculture systems, such as those on ponds, because a farmer can shut down one of multiple tanks if there is a disease outbreak. This type of production system, where fresh fish and vegetables can be grown in warehouses or greenhouses in cities and can be available locally, is sprouting up in cities throughout world. Thousands of aquaponics systems of various sizes are in place in the United States, from Hawaii to New York. Aquaponics has the potential to meet the triple bottom line of being good for people, communities, and the planet. This kind of aquaponics system is also fairly easy to build. A team of Los Angeles Unified School District students, under the mentorship of David Rosenstein, the founder of Evo Farm, constructed a greenhouse aquaponics facility on the grounds of the Westchester Enriched Sciences Magnets. The facility supplies tilapia and kale, along with an integrated education in environmental science and business economics. The students have a bright idea for their own future in more ways than they might have imagined. We are already seeing the impacts of climate change on our food system: Callifornia cattle are being moved in record numbers to Texas and other regions because our persistent drought is dramatically reducing the amount of grassland and water to raise them. Warmer temperatures impact the ability to grow some of our popular fruit crops, and invasive pests—linked by some to climate change—threaten others. In the coming decades, regions will struggle with food security on a new level, beyond the chronic question of equitable distribution and affordable access; in other words, the question may become one of whether we can even meet the current level of supply. Fish farming in climate resilient indoor tank systems could be a key part of an ecologically sound foodscape. Cities, states, and countries around the world are realizing the importance of creating regional, sustainable food systems to address the most vexing issues stemming from our current industrialized and globalized model of food production and distribution. The conventional system, which favors the large scale, works well for many, but its edges are frayed. On the production end, small-scale farms are struggling; on the consumer end, hunger and obesity remain problems. Aquaponics could address both ends of the equation—while narrowing an economic and accessibility divide, doing well by the environment, and providing people with a healthy food source: fish that are as whole and fresh as backyard fruit. Paula Daniels is the founder and chair emeritus of the Los Angeles Food Policy Council. She recently completed a report called “Know Your Fish Farm” as part of a Stanton Fellowship from the Durfee Foundation. The report can be found at www.knowyourfishfarm.info. *Photo courtesy of Mary St.Germain-Brown. agriculture, farming, Food, natural resources, ocean, Thinking L.A.